Trainer James Cummings admits there is some doubt over how Osborne Bulls will handle the 1000m when he goes in the Group 1 Lightning Stakes at Flemington on Saturday. The Godolphin star has an impressive record of nine wins and four minor placings in his 14-start career, but has yet to be tested over 1000m. 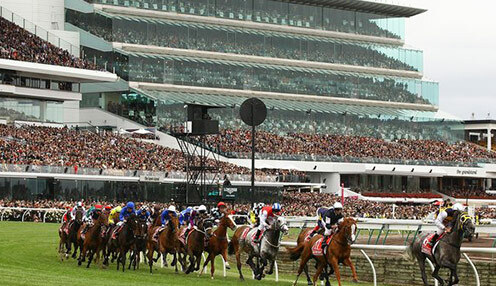 Osborne Bulls showed what he is made of when finishing third to Redzel and Trapeze Artist in The Everest before winning at Group 2 level down the straight at Flemington on Victoria Derby day. His opposition also look better suited over more distance. We're hoping that his one-from-one record down the straight will be an advantage. He is unbeaten from three first-up runs so confidence is high tomorrow, even though there is a question mark over the distance. "He tackles the five furlongs for the first time and at weight-for-age and at Group I level it's a very interesting test, even for such a talented young sprinter," Cummings said. "His opposition also look better suited over more distance. We're hoping that his one-from-one record down the straight will be an advantage." The Tony McEvoy-trained Sunlight looks to be the one to beat and jockey Luke Currie has high hopes, even though the Newmarket Handicap would suit her more. "She's strong but she's always been pretty strong so I couldn't really say she's much different, but I can say she has matured a bit mentally," Currie said. "She's fresh and the 1000m will be perfect for her at this stage. She has won down the straight and she has only got to go out the back gate and across to the track. "The Newmarket is probably her race and she could only have 50kg or something like that." Osborne Bulls is 7/1 to win on Saturday, while In Her Time is 17/5 and Sunlight is priced at 12/5.